Earlier this year I received a commission to write a poem for a hydro-geologist, for his birthday. 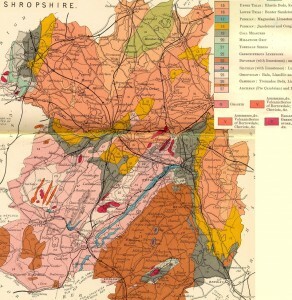 The only question I could answer was the last one, and the answer was ‘Hardly anything.’ But fortunately Shropshire has more hydro-geologists than you can shake a stick at. There was advice at hand and resources aplenty. My first port of call was the Geology Gallery at the newly refurbished Shrewsbury Museum and Art Gallery link. I love this museum. It was opened in 2014, and is thoughtfully presented and designed. The Geology Gallery not only has beautiful specimens of rocks and fossils, but also commissioned art and a wonderful video showing the voyage of Shropshire. 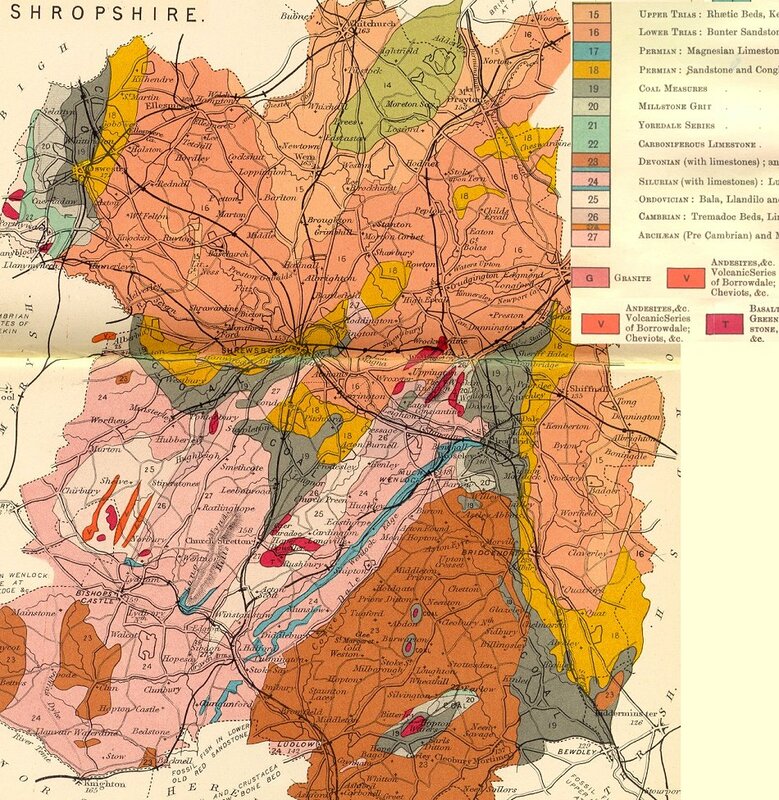 It turns out that the reason there are so many hydro-geologists in Shropshire is that it has an extremely diverse range of geological strata both in age and rock type. 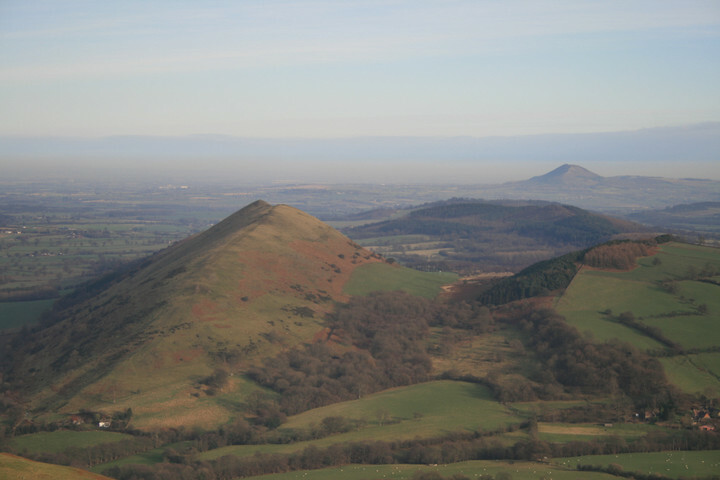 Shropshire has, in its 500 million year history, travelled from a location south of the Tropic of Capricorn in the Southern Hemisphere 12,000km to where it is today. In that time it has been volcanic, forested, tropical, desert, shallow seas, and now the temperate landscape of hill and field, a patchwork embroidered with hedge and forest. Armed with this new information, I walked up one of my favourite hills: The Lawley. 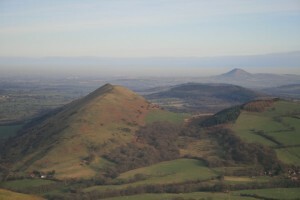 Looking south from the Lawley, one sees Caer Caradoc thrusting through an ancient fault line running in Pre-Cambrian rock northwards to the Wrekin. Around the Lawley spreads the intricate complexity of the countryside, rising and falling, growing and dying. 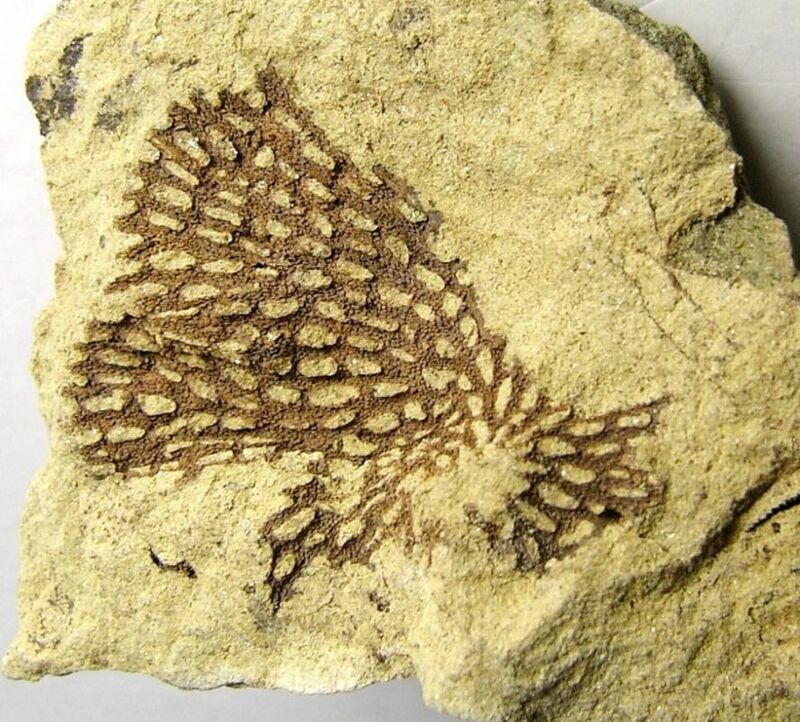 Under my feet was living rock, full of the signs and scars of its journey. And growing from it, the most delicate and hardy of flowers, heather, and the lichens, airy and brittle versions of the languid seaweeds fossilised nearby. Afterwards, it did not take long to write the poem, and then, having heeded the advice of poets in my writing group, I delivered Walking the Hills to the person for whom it was written. heated and cooled, used and discarded. inner earth has spilt its heat. sweetly covered in mossy, heathered coats. that points to future sky. scattering rocks across the world. into lichen puffs and flowered grass. as if they were maps for us to follow. been built and fallen into ruin. Bogs have sucked and squeezed to coal.